A 48-year-old man presented with atypical chest pain that increased with exercise. Coronary artery disease was suspected. 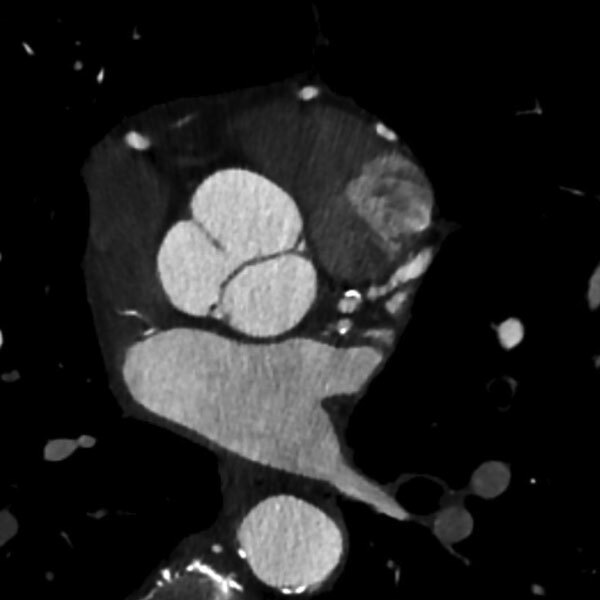 Contrast-enhanced coronary CT angiography was performed to evaluate the coronary arteries.